It was really hard to see Andrew’s hair fall out. It was incredibly difficult as Andrew’s skin went from pale to pasty and straight on to completely colorless. It was annoying that he had to wear a face mask to go anywhere at all. It was lonely to be isolated. It was really hard to balance the doctor visits, the need for prescription medicines and Andrew’s need to be germ-free with the time crunch and necessity of getting the meds while we were in town to save on two hours of driving. But oddly enough, all of those things led to a completely unexpected blessing. Often, after a chemotherapy treatment, we needed to stop by the pharmacy for the follow-up medicines for the next week (insurance dictated that we could never order ahead). On those days, I had no choice but to take Andrew into the store with me. This was an ordeal. It involved wiping the shopping cart down with a Clorox wipes, laying a clean blanket down, fastening Andrew’s mask securely over his mouth and nose and helping him into the basket, where he would flop down with nausea and exhaustion. Since we lived an hour from town, I would order the prescription and then grab groceries while we waited. This story isn’t sounding like a blessing, is it? It didn’t feel like it at the time either. “He has leukemia.” I kept my replies simple. 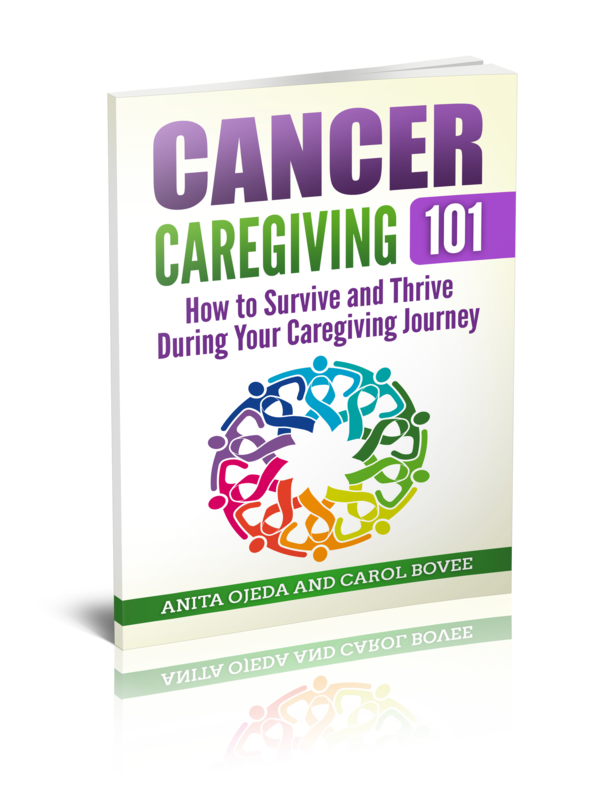 Certainly the description and the details changed with each pass through the store, but I began to see that there is a huge community of cancer survivors out there, and there is a huge community of strangers who have not had cancer, but still notice a person in need. People who care. People who pay attention. People who listen to the prompting of the Holy Spirit. None of the strangers in the store gave any money, or gifts or anything tangible – they simply gave a moment of their time, some words of encouragement and some prayers of blessing. And I will never forget their kindness. 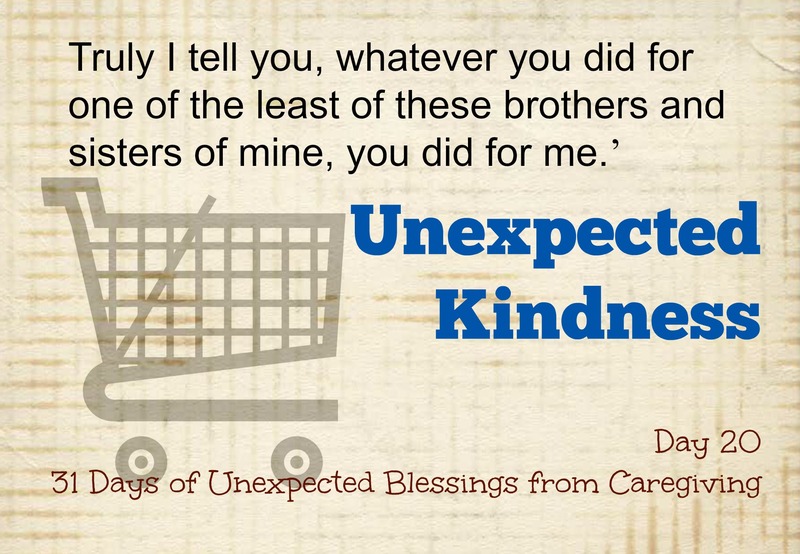 Read more in the series 31 Days of Unexpected Blessing from Caregiving.